Courtesy of Kristina R Cummings, Coldwell Banker Heritage. Gorgeous~Warm ~ Bright Custom Zengel Built Tri-level in Much Sought After Vienna Woods located on a Wonderful Cul-de-sac, with 4 Bedrooms(1 currently used as office with built ins) & 3 Full baths! You will love the Beautiful Tiled Entry Way that leads you to the Spacious Chefs Delight Kitchen w/ Center Island, Skylights, & Plenty of Storage. The Vaulted, Beamed living room has a Gorgeous Stone Fireplace & Private entrance to 17 X 9 deck that is Perfect for Grilling or Private Entertaining! The Master Suite has Lovely Tiled shower, Separate Jacuzzi tub, Separate Makeup vanity, & Spectacular Walk in closet! 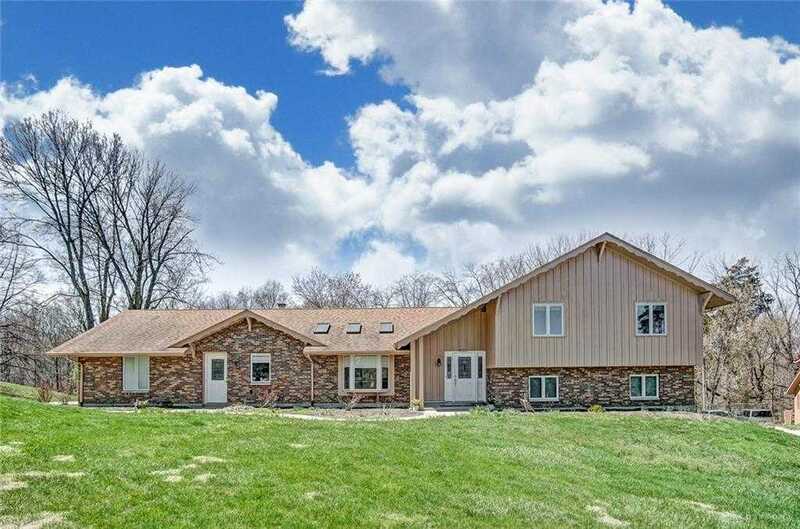 The HUGE lower level has enough room for Entertaining, Exercising & Relaxing ~ you can Walkout to the AMAZING 28 x 16 deck with PRIVATE WOODED VIEW ! This Lovely home has been well maintained with Pella Windows (2013) Roof (2012) Water Heater (2018). This home is located in Miami Township(NO LOCAL INCOME TAX!) Close to I 675- I 75~ Fabulous Shopping~ Entertainment & Dining! Directions: From Yankee, Right on Mad River to Left on Munger, follow munger and curve onto Swissway, right onto Cedarview Court. Please, send me more information on this property: MLS# 787920 – $339,900 – 6521 Cedarview Court, Miami Township, OH 45459. I would like to schedule a private showing for this property: MLS# 787920 – $339,900 – 6521 Cedarview Court, Miami Township, OH 45459.